1. Season the chicken in salt, pepper, rosemary and thyme. 2. 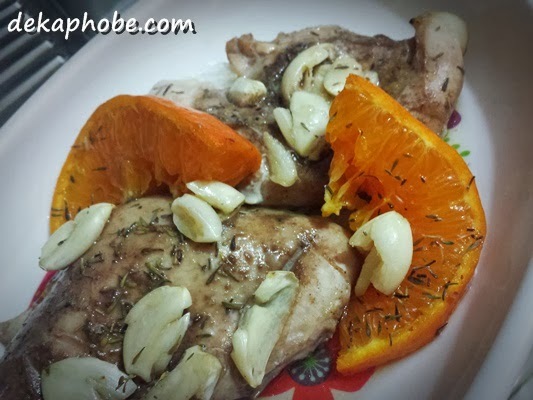 Rub the chicken in crushed garlic. 3. 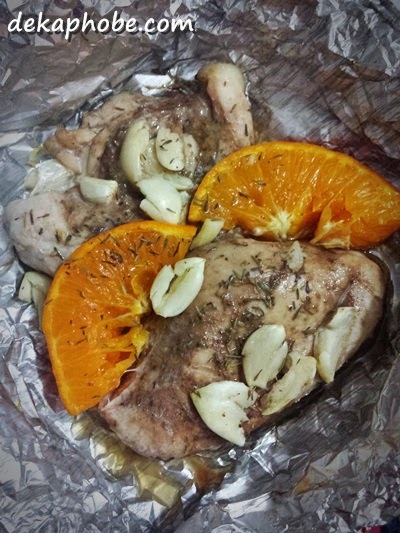 Wrap chicken and sliced oranges in a foil. 4. Bake for 20 to 25 minutes in the oven in medium heat.